There have been reports submitted by users that put light on various issues with their Microsoft Excel 2016. These reports reported an issue where a saved workbook would appear as blank. According to the reports, users would save a spreadsheet and then exit the file. However, to their surprise, the next time they would try to open the file, it would appear as blank and they were all prompted with a grey screen. This issue can be caused by several factors which include corrupt installation of Microsoft Excel, Excel startup preferences etc. Though the issue sounds critical, it really is not. The issue can be easily resolved by implementing some easy fixes that are mentioned in the article down below. However, before we get into that, let us have a look at what potentially causes the issue. 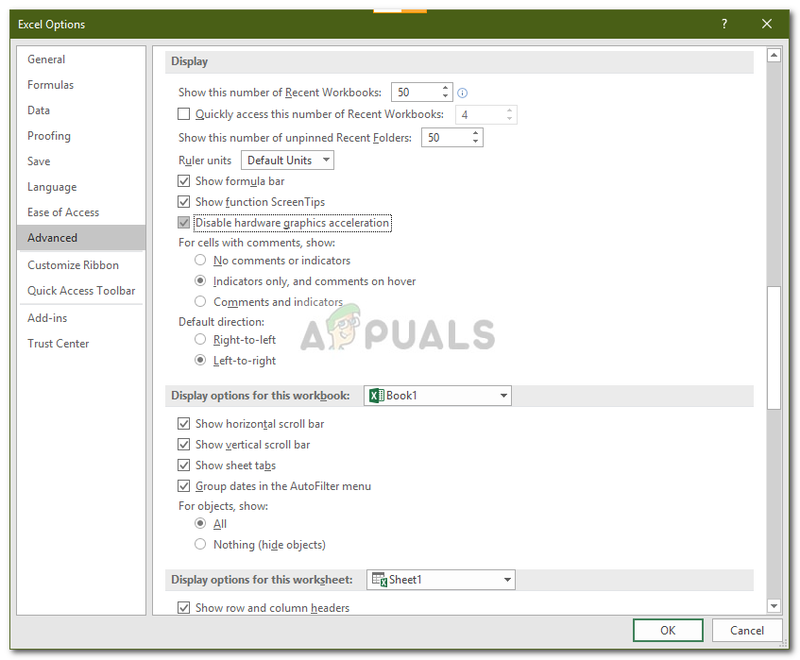 What causes the Microsoft Excel 2016 to open Blank on Windows 10? Well, the issue can be caused by several things. In the list below, we have pointed out the ones that are most often responsible for generating the issue. 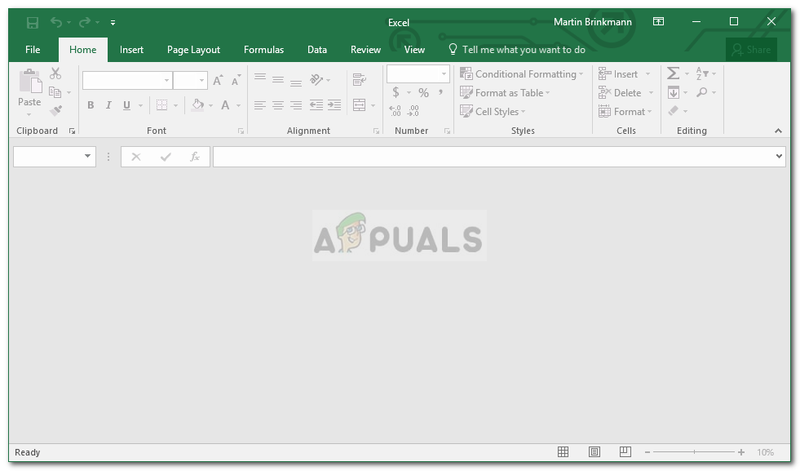 Corrupt installation of Microsoft Excel: In most of the cases, the issue is caused by a corrupt installation of Microsoft Excel. In such scenarios, you can easily get over the issue by repairing your installation. Startup preferences: Another thing that could potentially be the cause of the issue would be your Microsoft Excel startup preferences. The folder where your startup preferences are stored often cause such issues. Microsoft Excel settings: The last thing would be your Microsoft Excel settings. This includes DDE, hardware acceleration etc. Such options usually cause issues, however, they can be easily dealt with. Now that you have the basic insight of the potential factors that cause the issue, we can proceed to solve the issue. To solve the issue, please follow the solutions provided down below in the same order as given so that you get a hasty resolution. Click on File and then select Options. Navigate to the Advanced tab and scroll down to Display pane. Make sure ‘Disable hardware acceleration’ is checked and then click OK. Try opening the file again. Open up Microsoft Excel and then click on File. Select Options and then switch to the Advanced tab. Scroll down and locate the General pane. 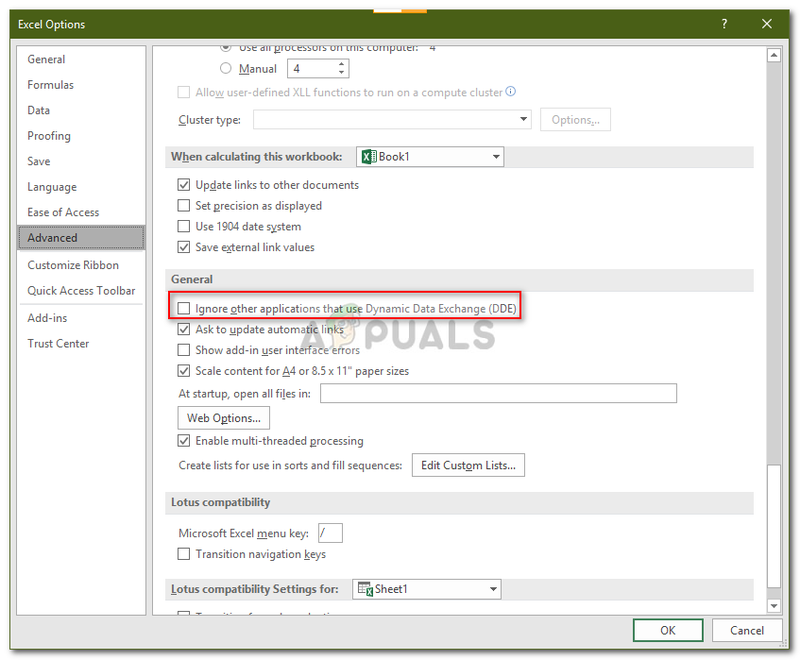 Make sure the ‘Ignore other applications that use Dynamic Data Exchange (DDE)’ option is unchecked. Click OK and see if it fixes the issue. Open up the Windows Explorer. Locate the Excel folder and tap into it. There, navigate to the XLSTART folder and move all the files from it to another location, for example, your desktop. Once done, try to open the excel file again and see if it resolves the issue. 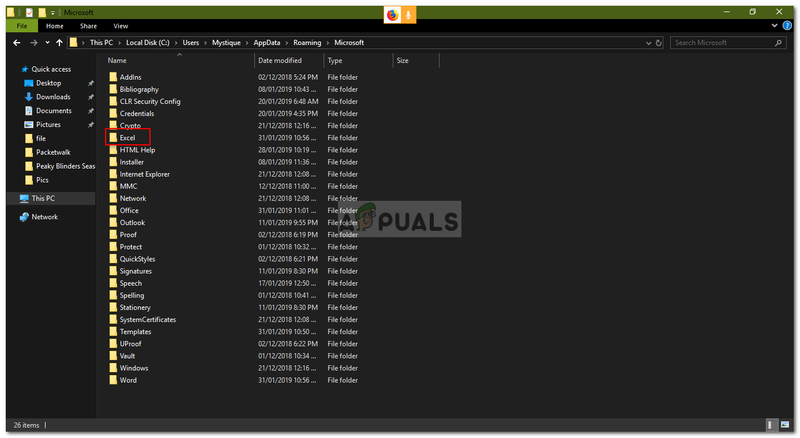 Press Windows Key + X and select Apps and Features from the list. In the Apps & features pane, search for Microsoft Excel. If you are using Microsoft Office, search for that instead. Highlight it and then select Modify. Perform a Quick Repair and see if it resolves the issue. 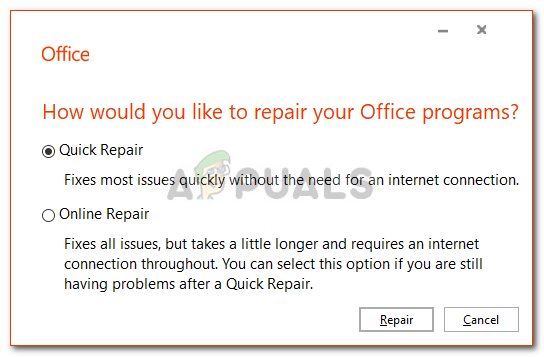 If it doesn’t, go for the Online Repair option which should fix the issue.